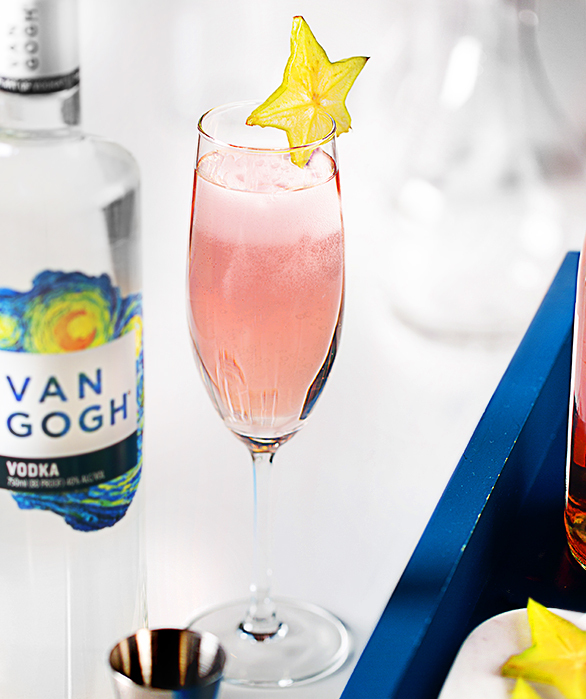 Created with our signature Van Gogh Cool Peach, this refreshing brunch cocktail is fun and simple to prepare. 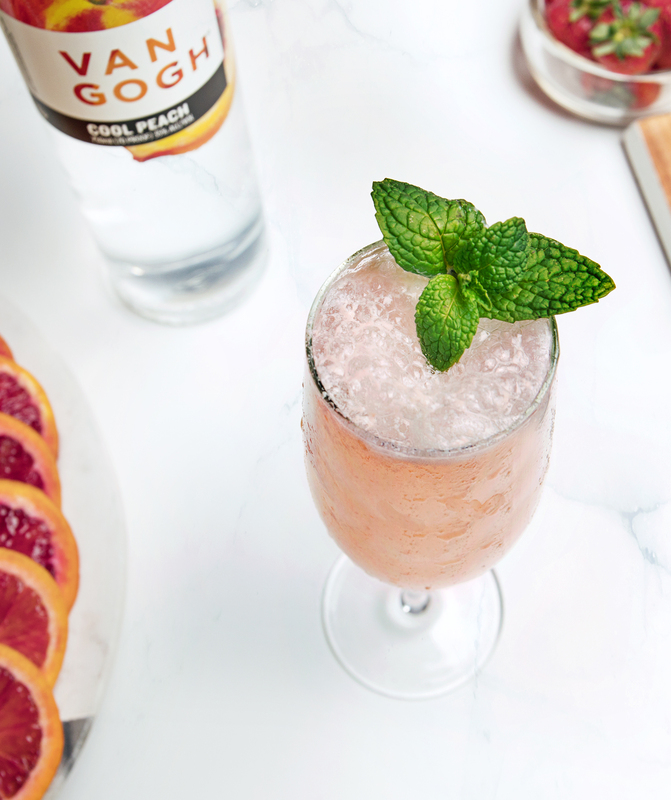 The Cool Peach Bellini is the perfect drink for your bridal shower brunch or a casual party cocktail. 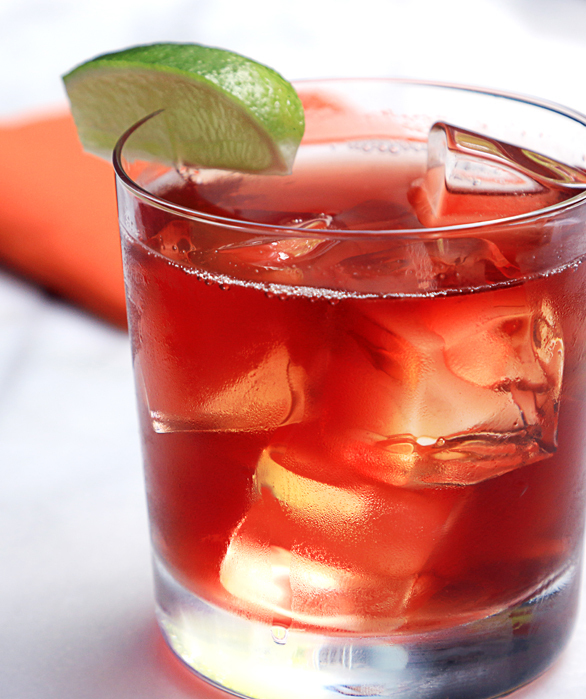 In a mixing glass, add ingredients with ice and gently fold together without over-stirring. 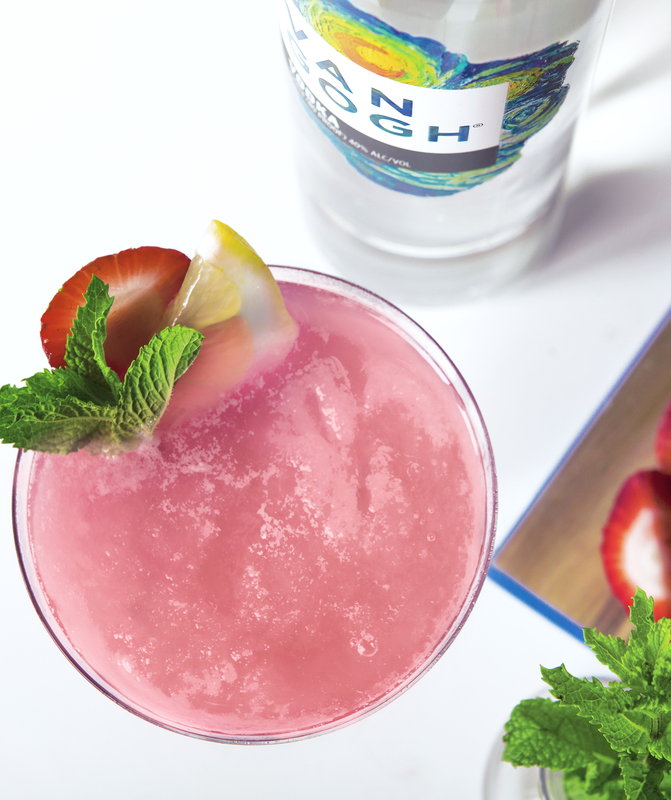 Strain into a chilled flute. Garnish with a floating mint leaf and a peach slice.